Spring and summer may be popularly considered “wedding season,” but there are plenty of reasons to schedule your big day after the summer heat fades away. If you have always dreamed of saying idea under a colorful canopy of Maryland’s breathtaking autumn leaves or can’t imagine your wedding without long sleeves and cozy details, this post is for you! 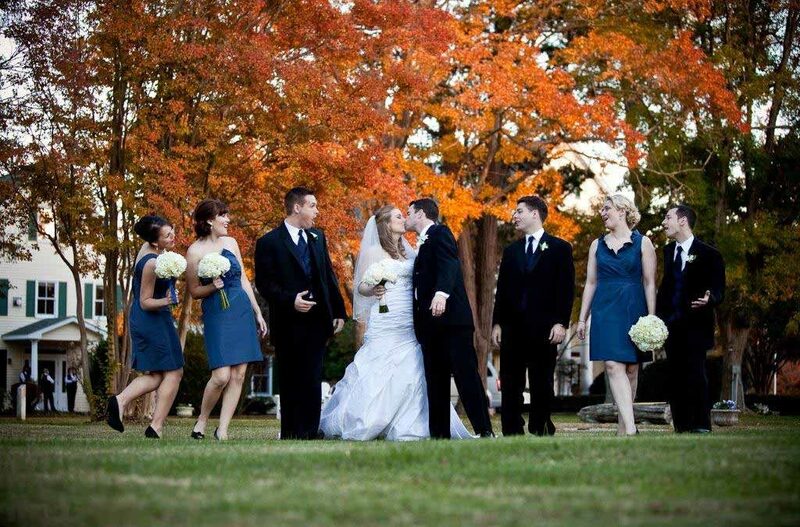 Fall is a beautiful season, making it the perfect backdrop for your wedding ceremony and reception. Food is always an important part of the wedding, but it might be even more important to weddings slated for Eastern Maryland’s chilly autumn evenings. 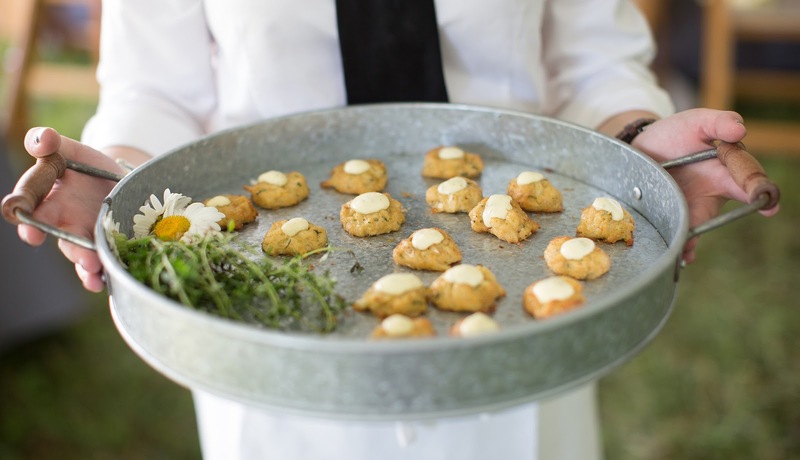 Whether your guests will be cozying up for a romantic evening inside one of Maryland’s many historic wedding venues or preparing to dance the night away against the dramatic backdrop of the Eastern Shore’s fall foliage, these caterers provide delicious, affordable catering options that are sure to satisfy. Magnolia Caterers & Bread Co. Enjoy delicious surf & turf and bbq wedding packages provided by Matapeake Catering at the beautiful and historic Matapeake Clubhouse-- available exclusively in the fall and winter. Image courtesy of Matapeake Catering. Matapeake Catering’s is the exclusive vendor for the breathtaking Matapeake Clubhouse and Beach, which is open for weddings October to April. Located on the Chesapeake Bay on Kent Island, the county-owned waterfront property features the historic Clubhouse as well as expansive autumnal views of the water. To book the clubhouse for your big day, contact Queen Anne's County today. Check out Magnolia Caterers & Bread Co.’s special autumn menu to find out what cold weather favorites they can bring to your big day. Image courtesy of Magnolia Caterers & Bread Co.
For more than 30 years, Magnolia Caterers & Bread Co. has been helping couples turn their fall wedding dreams into a reality. The full-service catering company is happy to accommodate your wedding’s unique style and needs. 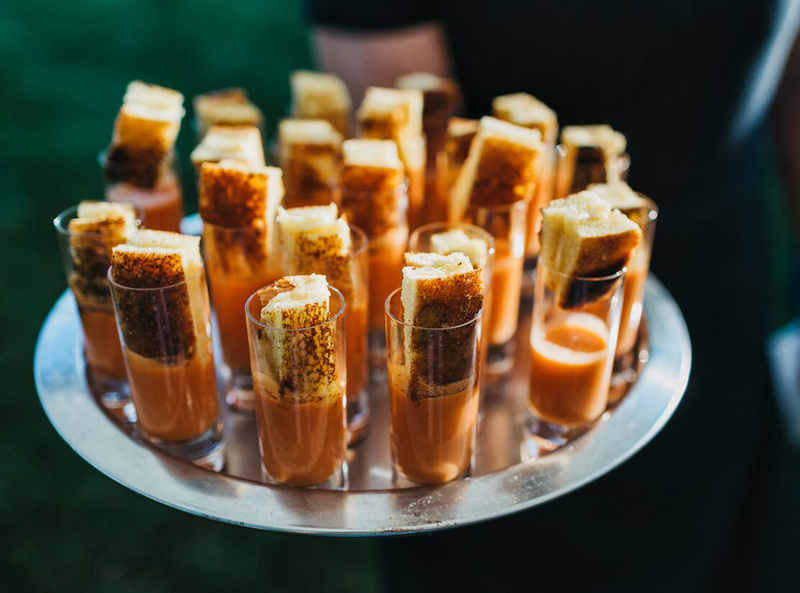 Give your guests an elegant take on comfort food classics like grilled cheese and tomato soup with La Vida Catering’s tasty fall menu. Image courtesy of My Eastern Shore Wedding. On the East Coast, La Vida Catering is a well-known and well-respected catering service. They have been awarded Best Caterer Downstate by Delaware Today Magazine on 6 separate occasions in recognition of their delicious menu and excellent service. La Vida Catering can simply drop off your selected meal options or they can take care of all of your food, beverage, and service needs with full-service event catering. We’ve made finding the right wedding venue easy with our list of lovely fall wedding venues on the Eastern Shore of Maryland. 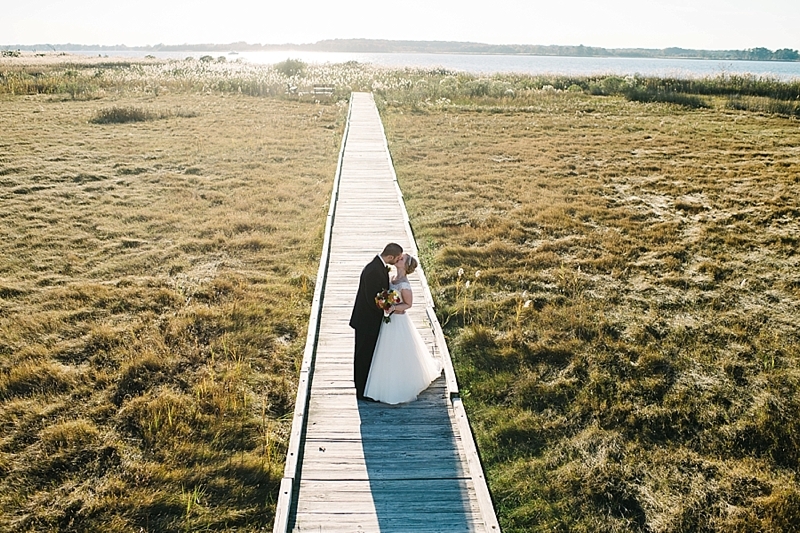 If you are choosing to book a wedding venue on Maryland’s gorgeous Eastern Shore, you already know just how stunning the scenery here can be. 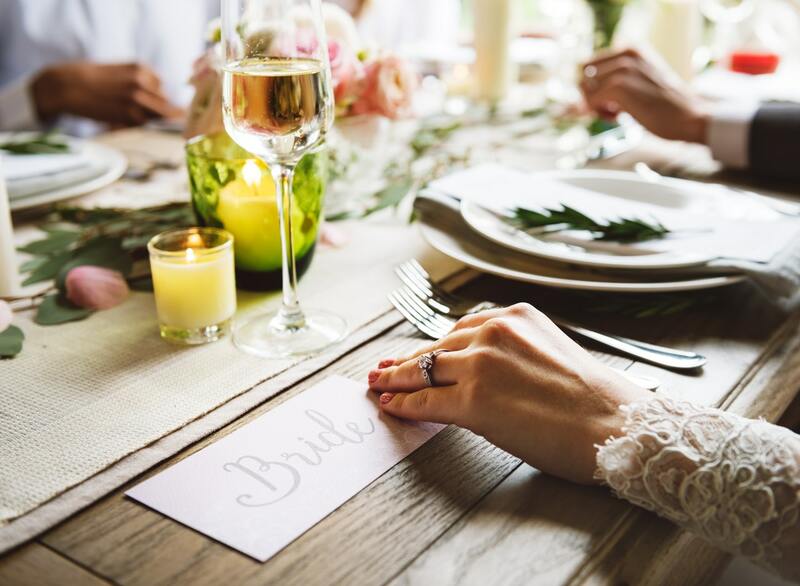 Between dramatic ocean views and sprawling forests reinvigorated by bright Maryland fall leaves, you are sure to find the perfect venue for your wedding ceremony or reception. 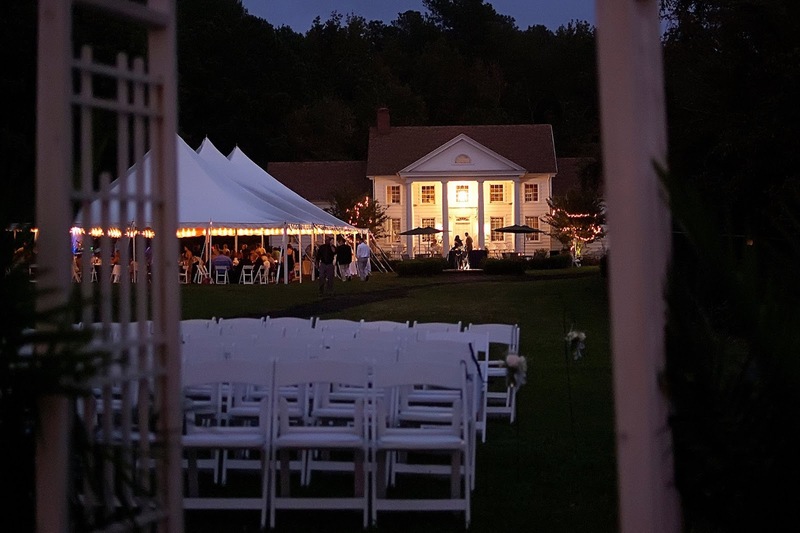 If you’re looking for a fall ceremony or reception venue, look no further than Spring Hill Manor-- it has all of the rustic charm you need to make your big day a success. Image courtesy of Wedding Spot. Maryland is full of beautiful historic venues, but Spring Hill Manor may be one of the most romantic. First built more than 150 years ago in 1844, the gorgeous Spring Hill Manor barn has been restored several times but still retains its charming authenticity. The barn is full of natural light, wood paneling, elegant stained glass, and everything you need for a beautiful ceremony or reception. Spring Hill Manor’s eclectic craftsmanship lends it a quirky and genuine ambiance that few other Eastern Shore venues can rival. Enjoy Spring Hill Manor’s unique decorations, expansive gardens, and cozy gazebo, and choose to make your fall wedding venue unforgettable. The Oaks Waterfront Inn offers everything from dazzling views of the Chesapeake Bay to quaint overnight accommodations for the happy couple and their guests. Image courtesy of The Oaks Waterfront Inn. The Oaks Waterfront in is heralded as a magical wedding venue all year long, but the breathtaking fall beauty of Eastern Maryland gives it an extra layer of charm as the days get shorter and the year begins to draw to a close. The waterfront venue has been helping couples say “I do” since 1997. 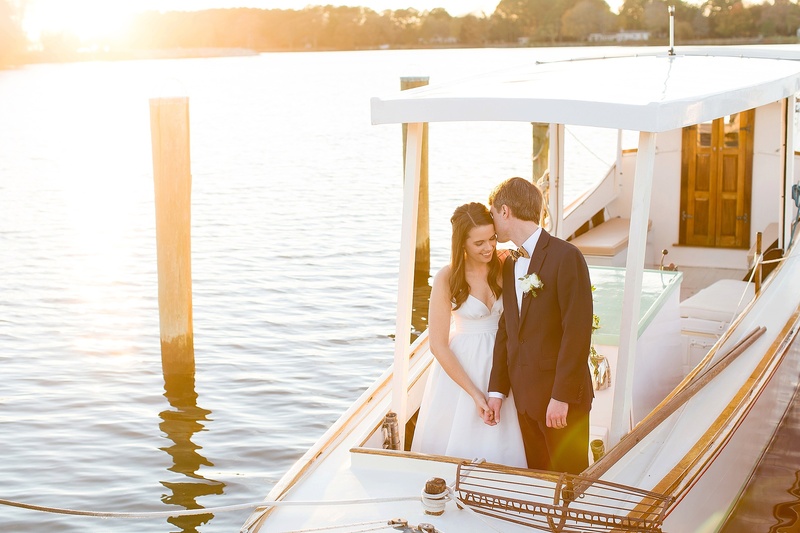 Located on a quaint cove in the Chesapeake Bay, The Oaks Waterfront Inn provides lovely sea views and a picture-perfect setting without sacrificing the privacy and intimacy of your ceremony or reception space. The Oaks is an indoor/outdoor venue that can accommodate up to 250 of your closest friends for a magical evening nobody will ever forget. Happy couple Aislinn and Luke enjoy a beautiful fall day at their Chesapeake Bay Environmental Center Wedding. Image courtesy of Erin Wheeler Photography. Autumn is the perfect time of year to appreciate the natural beauty of Maryland’s Eastern Shore, and what better place to do that than the Chesapeake Bay Environmental Center? If you think that an environmental center can’t be a gorgeous venue, then you clearly haven’t seen this one yet! The Chesapeake Bay Environmental center is nestled cozily on acres of protected wetlands, woods, and beaches on the Chesapeake Bay. The building itself boasts a large hall, hardwood floors, floor-to-ceiling windows, a large patio, and a charming pond. This hidden gem is the perfect opportunity to bring a little bit of natural elegance to your fall wedding. Fall weddings are full of colors and life-- find a photographer who can capture the story you want your big day to tell. Choosing the right wedding photographer can be tricky because you need to find someone that truly understands your story and your vision for the big day. You and your soon-to-be spouse will cherish these photographs for the rest of your lives, so finding a photographer that can capture your unique chemistry is an absolute must. 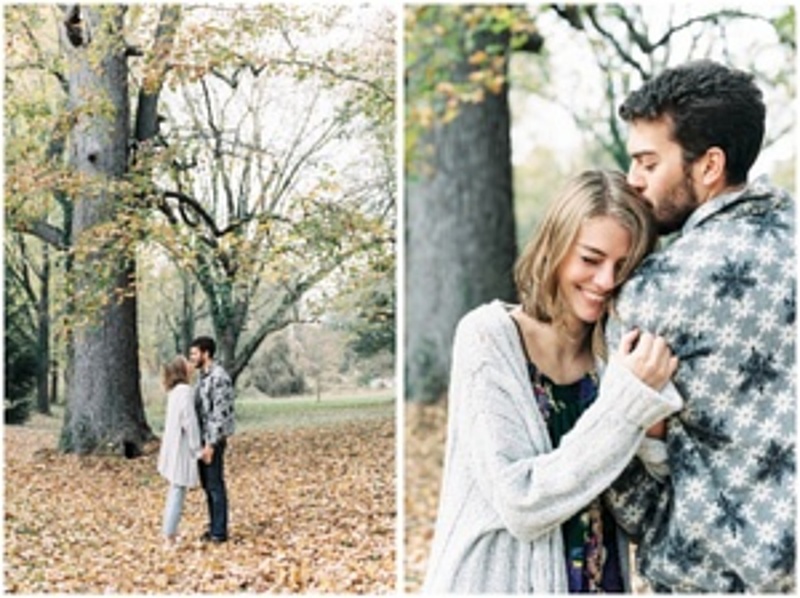 A happy couple’s intimate fall engagement shoot captured by Annie Velenovsky. Image courtesy of Annie Velenovsky. Annie Velonsky is an empathetic and charming soul who loves nothing more than exploring the “tangibility, breadth, and depth of life” through her work. As a Myers-Briggs personality type INFJ, she uses her natural intuitive gifts to really understand you and your partner, allowing her to create dynamic shots that capture your uniqueness. Annie’s work is intimate, quirky, and fun-- you will enjoy sharing your wedding day with her almost as much as you enjoy the breathtaking work she produces. 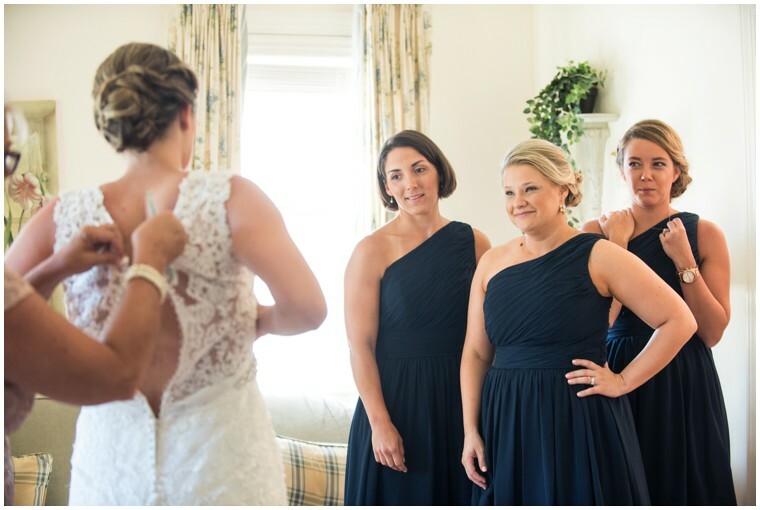 Beautiful bride Katie prepares for her wedding to Zach in a fall wedding captured by Melissa Grimes-Guy. Image courtesy Melissa Grimes-Guy Photography. Are you looking for a true photography expert? Then Melissa Grimes-Guy is the perfect photographer to capture your big day. She began her career in photojournalism, which helped her hone her ability to think quickly on her feet to capture fleeting moments. Her work has appeared in countless prestigious publications such as Newsweek, USA Today, The Washington Post, and The Baltimore Sun. 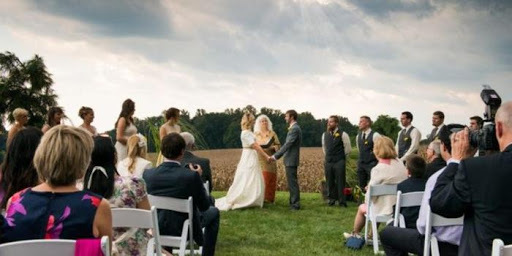 In 2004 Grimes-Guy expanded her work to include weddings and portraits, and just 3 years later in 2007 she opened her dream photography boutique in beautiful downtown Easton, MD. With more than a decade of wedding photography under her belt, Melissa Grimes-Guy is sure to impress with her professionalism and stunning work. Lovely couple Sutherland and Aaron embrace at their romantic wedding. Image courtesy Karen Dixon Photography. Karena Dixon began her photography career documenting presidential and congressional candidates on the campaign trail, and the poise and elegance of those shoots carries over into the work she does today. Energized by unscripted moments, Dixon specializes in capturing candid photographs of intimate relationships that reveal the beauty and depth of human relationships. Dixon has been photographing weddings on Maryland’s Eastern Shore for more than a decade, and her deep familiarity with the landscapes enables her to create truly breathtaking work. Two newlyweds share an intimate photo following their ceremony. Image courtesy of Laura's Focus Photography. Laura of Laura's Focus Photography considers herself more than "just" a photographer-- she's an artist, a storyteller, and a friend as well. 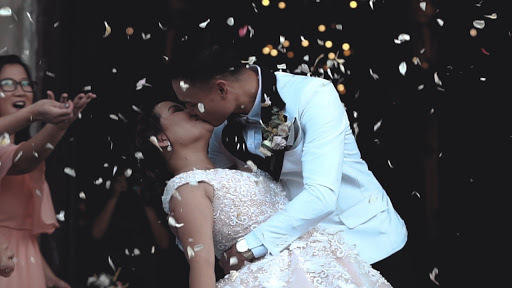 Her dedication to documenting the romance of little, unscripted moments of life and love make her an ideal candidate to capture your dazzling big day. 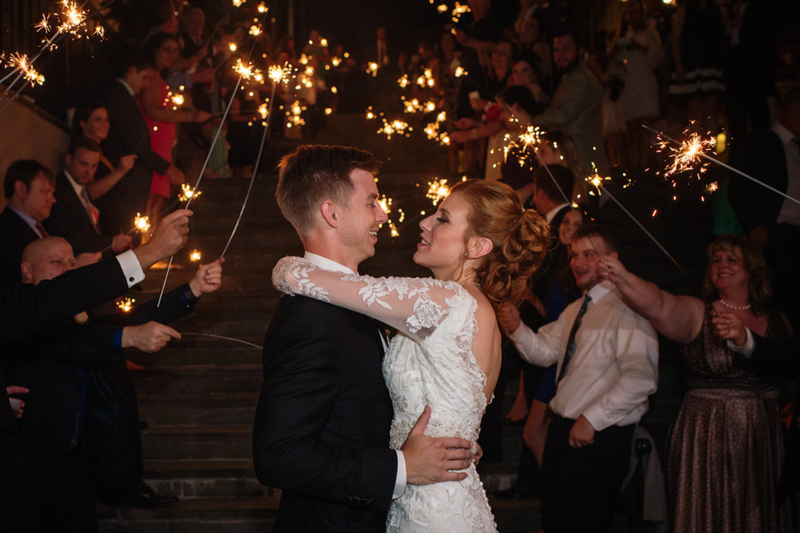 An Easton native, Laura knows and loves Maryland's coastal beauty, and she's excited to help you capture its beauty in the backdrop of your wedding photos. Laura is available for spring, summer, and fall shots in Maryland, but in the winter months she spends her time taking destination wedding photos in the Bahamas. Happy couple Megan and Brian steal a kiss inside a lighthouse. Image courtesy of Dunks Photo. 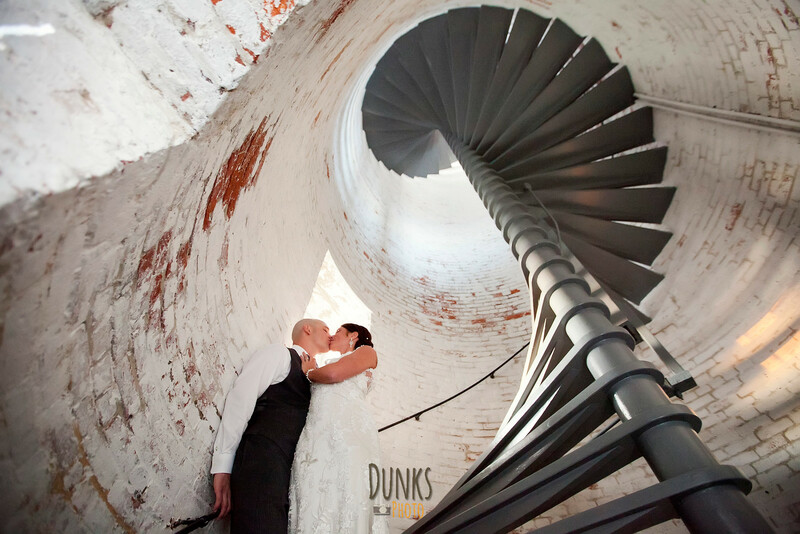 Dunks Photo, 4-time winner of Wedding Wire's Couple's Choice Award (2012, 2013, 2014, 2016), is another excellent photography option for your wedding on the Eastern Shore of Maryland. Featured in a variety of premier websites and magazines, Dunks brings a unique perspective and unmistakable charm to all of her photographs. Whether its in its early stages or at the altar, Dunks loves photographing love and can help you preserve the memories made on your big day for years to come. What can you do to make your fall wedding amazing? Keep reading to find out. Fall weddings can be absolutely beautiful, but like all weddings, they can be tricky to plan! We have gathered a few of our favorite tips and tricks to help make your fall wedding on the Eastern Shore of Maryland a resounding success! 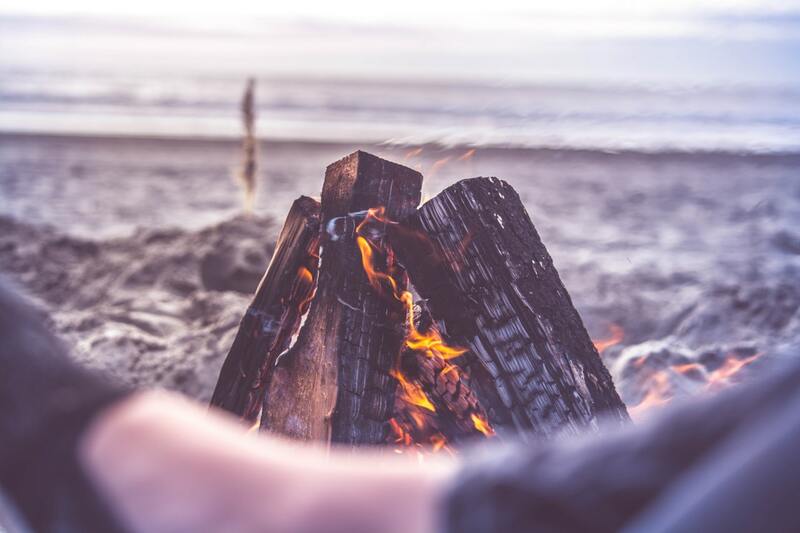 Keep your wedding guests warm and comfortable on chilly autumn evenings with a bonfire or complimentary blankets. 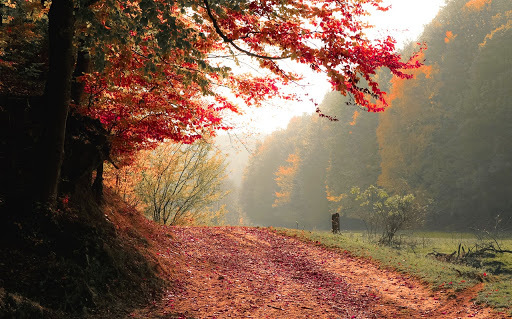 Brisk autumn days are lovely, but when the sun goes down, the cool air can quickly go from charming to uncomfortable. If your wedding guests will be spending outside on a fall evening, consider providing something to help them stay cozy as the celebration continues into the night. 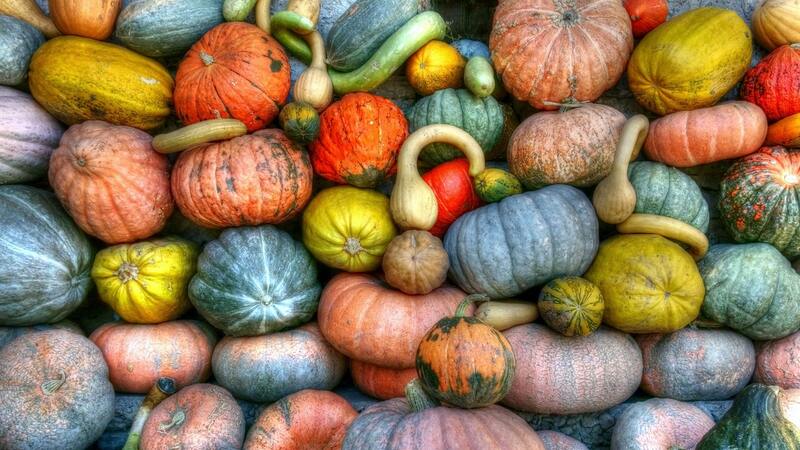 Pumpkins come in all shapes, sizes, and colors-- that makes them a surprisingly versatile piece of wedding decor. 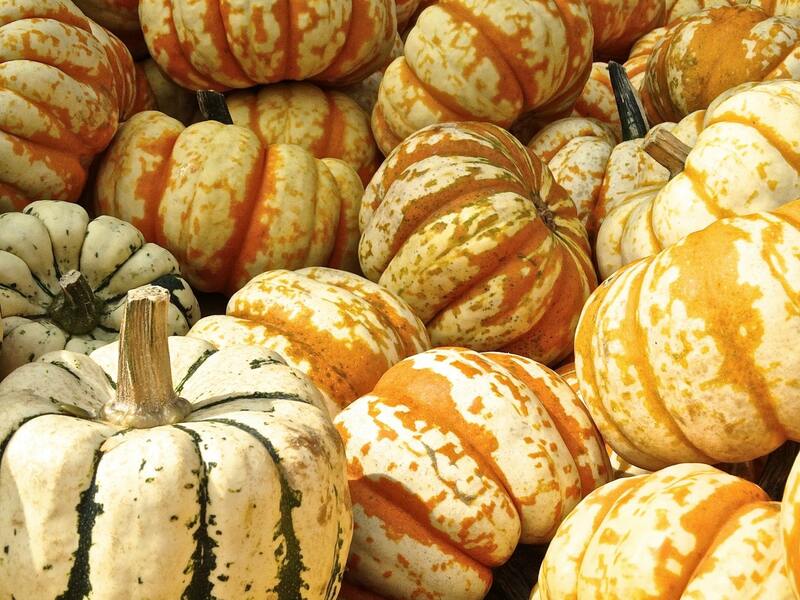 Pumpkins are the quintessential symbol of fall, but unfortunately, the bold orange of your typical Halloween pumpkin doesn’t quite mesh with every color scheme. Bring a little bit of autumnal flair to your vows by finding creative ways to work pumpkins into your day-- hint, they don’t have to be big and orange! Let the colors and materials of your rustic fall wedding inspire DIY projects to give your wedding a personal touch. Many fall brides find themselves drawn to the rustic charm of an outdoor or barn wedding. 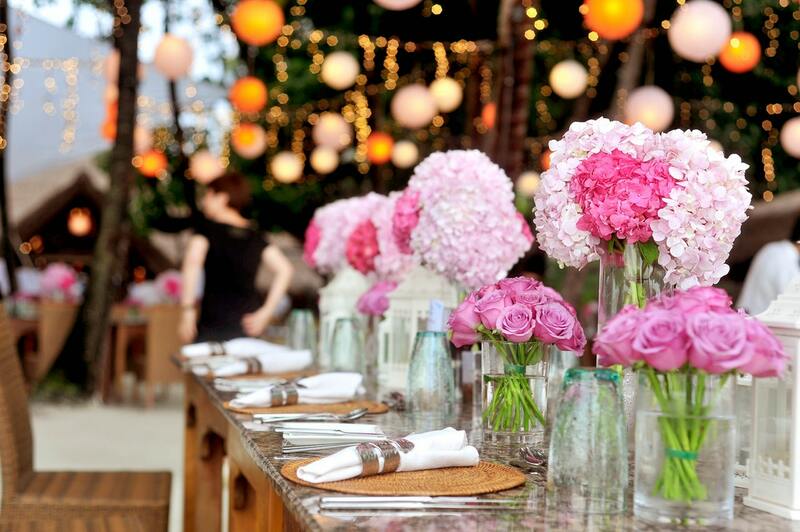 These types of ceremonies and receptions lend themselves perfectly to DIY details. Rustic materials like burlap, mason jars, and lace are relatively inexpensive and easy to find at most craft stores.  Spend some time on Pinterest looking for inspiration, or simply buy some materials and see what speaks to you! 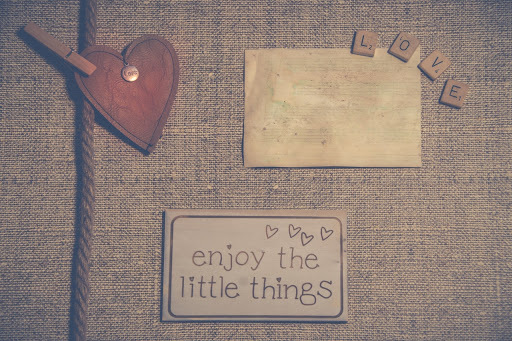 For extra fun, invite some friends to join in the crafting-- you’ll end up creating lovely personal touches for your ceremony as well as memories that will last a lifetime. Plan the ultimate fall wedding with these amazing caterers, venues, and photographers in Eastern Maryland. Fall weddings are absolutely stunning, especially in Eastern Maryland. We hope that these tips, tricks, and suggestions help you turn your big day into the wedding of your dreams!